The diploma course in Reiki includes Reiki 1 and 2. 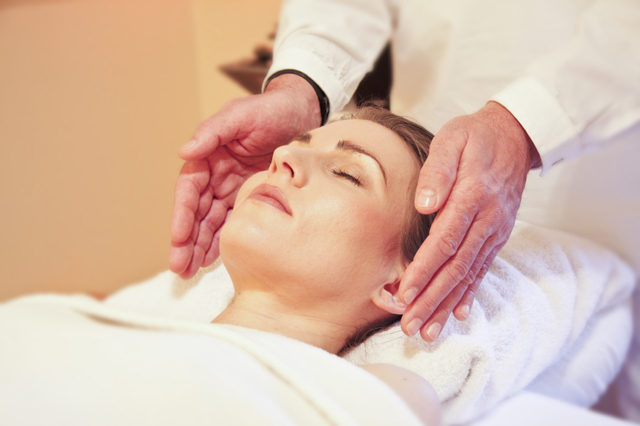 Reiki is a combination of the words ‘Rei’ – which means universal wisdom – and ‘Ki’ – which means life force. Reiki deals with the transmitting of life force energy through the hands and the main energy points of the body. Reiki is a deeply relaxing, balancing and soothing exercise that heals on several levels. But that’s not all to Reiki. All of our energy systems, i.e. the mind, body and soul, are connected and have an effect on each other. According to Reiki, filling the body with cleansing and healing energy will benefit the mind and soul. The essence of Reiki, therefore, lies in detoxifying the body of harmful energy and healing the mind, body and emotions. What sets Reiki apart from other healing traditions it the process of initiation, called ‘attunement’. While other forms of healing are done with the help of an expert or specially gifted therapist, Reiki can be done by anyone. Through the attunement process, students who learn and are initiated into Reiki will be enabled to practice and even impart this healing tradition onto others if they wish. This course is divided into two parts, each dealing with Reiki 1 and Reiki 2, giving you all the tools required to practice this unique healing tradition on your own and even impart it to others. The attunements are optional, however, and inessential to complete this diploma course. What is important is that you learn the various techniques in Reiki and that they benefit you in your personal development. This course being offered online gives you the flexibility to adjust it to your own schedule without having to worry about deadlines and other hassles.